Prevent stray light from affecting your photos with the Light Tent from Benro, which is designed for their FH75 75mm filter holder. 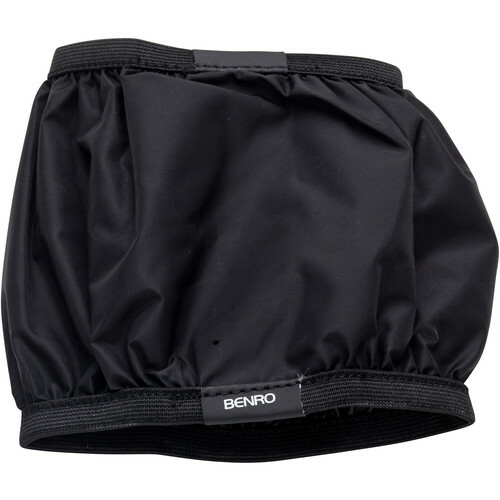 This simple accessory is made of black fabric and goes directly over the holder and whatever filters you have installed, featuring elastic bands on both openings for a tight fit. It blocks unwanted light coming from the sides of your setup, helping you avoid flares or other reflections that can show up on your images and degrade its quality. Box Dimensions (LxWxH) 4.3 x 3.85 x 0.75"